This is Bee. The native issue tracker. so you can use them in ways never possible before. You'll be happier and more productive. 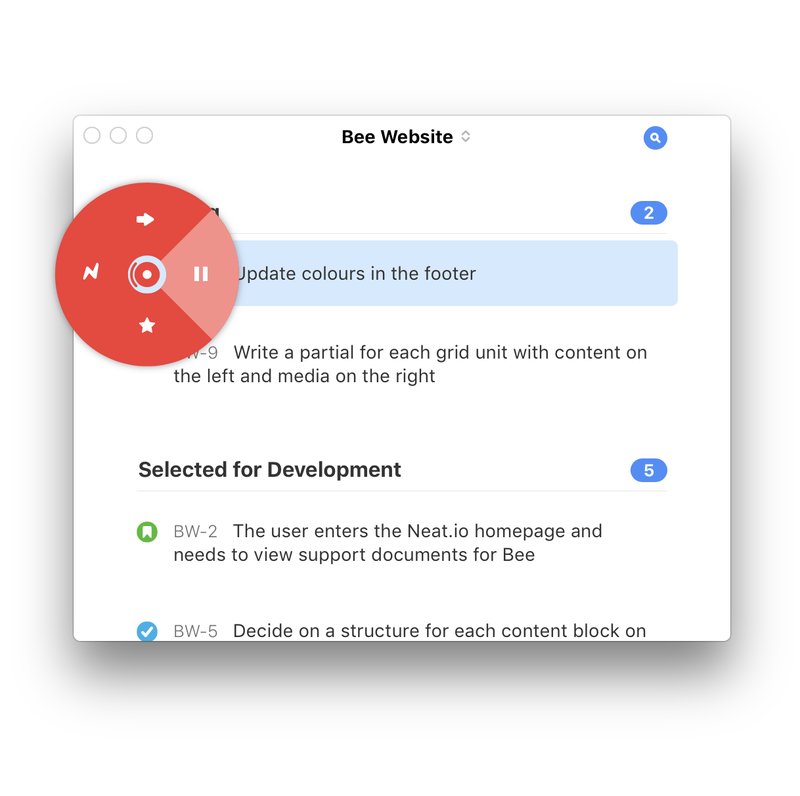 Bee was first released in 2013 and has since been downloaded and used by thousands of developers and designers like you. Your issue tracker is slow, frustrating to use and your team needs you to keep it updated. You dread opening the site and updating your issues. There must be a better way. 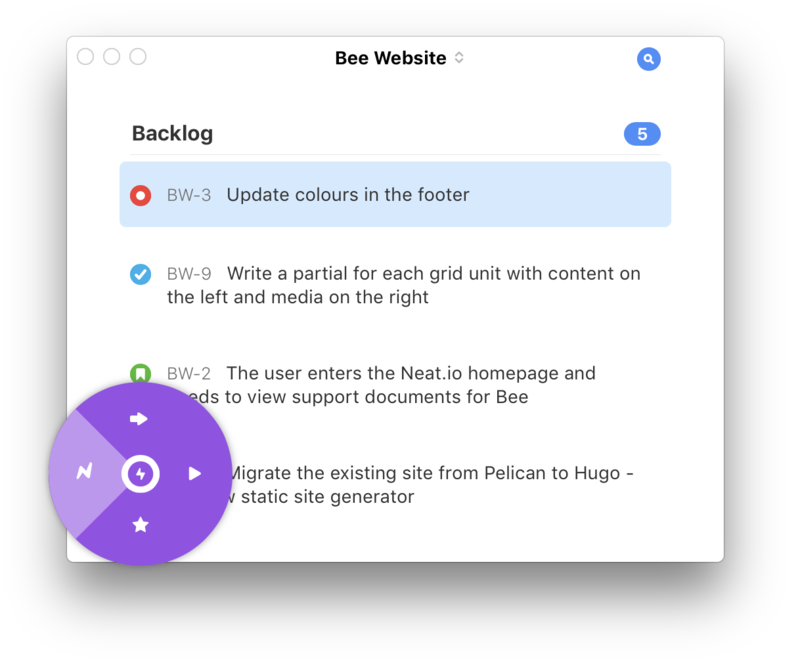 Bee is the issue tracker that everybody wants to use. And the best part is, it slots right alongside your existing tracker with no effort. 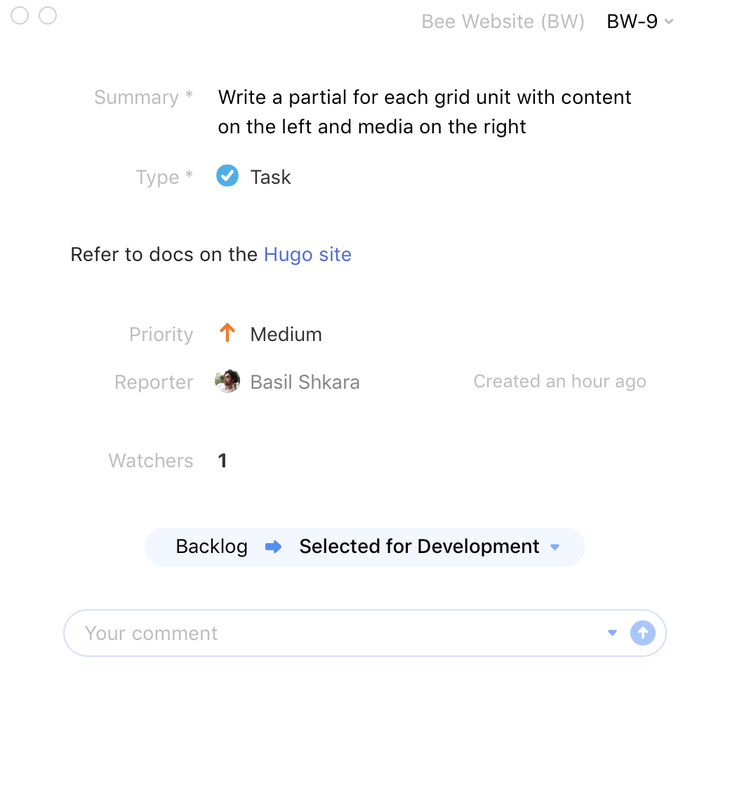 Issue trackers are designed for use by project managers who look at projects through a wide lens. Bee has a different focus and is there for you — the person on the ground. The software that you use everyday should be beautiful, smooth and animated with meticulous attention to detail. It shouldn’t get in your way and it should simply let you get stuff done. Bee is the missing piece. It’s the best upgrade to your workflow that you’ll make all year. The all-new Switcher is a unified interface which lets you quickly navigate between your lists. It’s part of what makes Bee so unique and allows you to more readily focus on your content. It’s completely customisable — just drag and drop to rearrange the ordering. Keyboard shortcuts are also present, to help you speedily navigate your lists. Using the new radial menu, you can quickly mark issues as things to do Next. These issues appear in the Next list in the Switcher to help you stay on top of them. 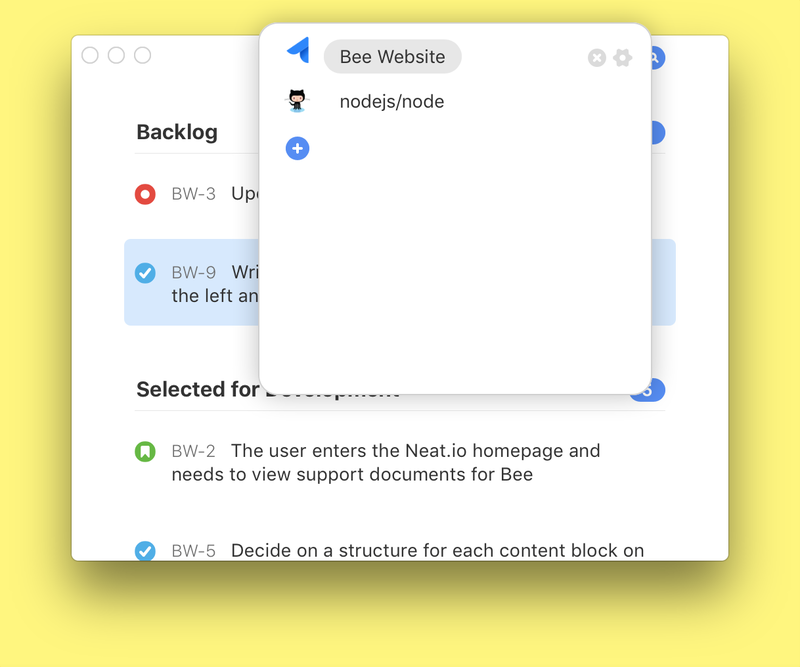 Collapse Bee into a single-pane window, and keep a floating list of your tasks alongside your work. 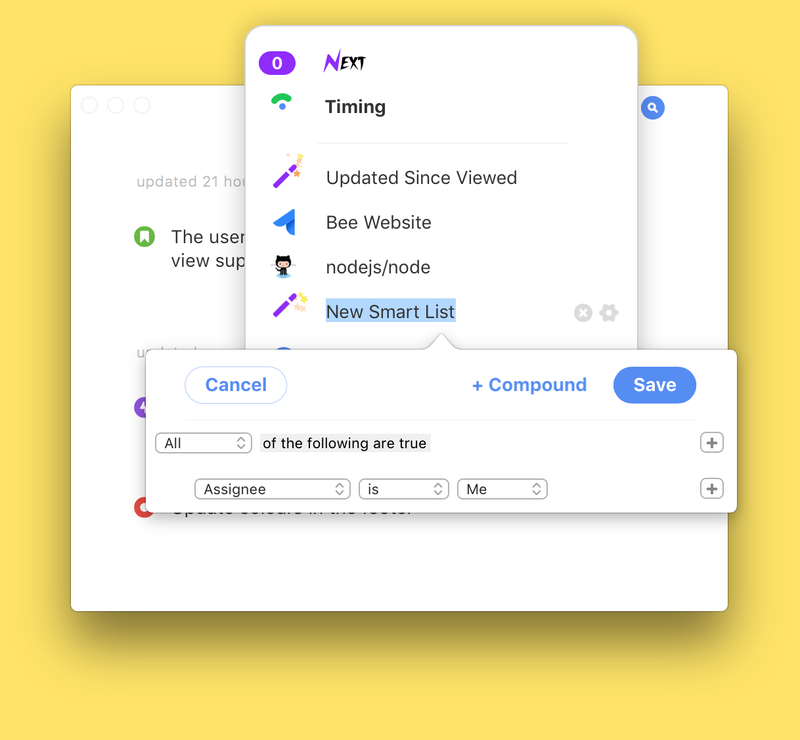 Start typing and Bee performs a fuzzy search across your lists, issues, labels and issue comments. 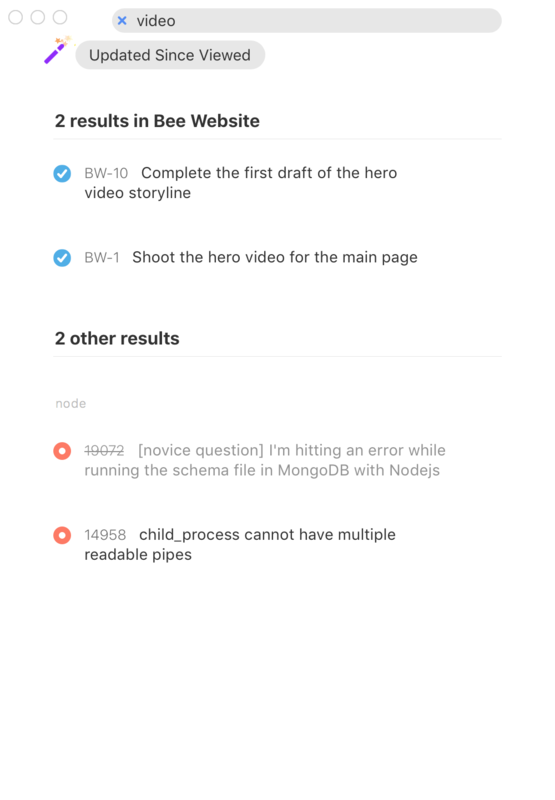 In Bee 3, list and issue search are now combined into the new search UI. Jump straight to a list by just typing the first couple of characters. You don’t have to wait for the browser to load because everything is already smartly cached. No more friction when you need to quickly refer to an issue. Creating a new issue is a customisable, global keyboard shortcut away. You have instant access to creating something the rest of your team can immediately see. Creating new issues is easy to do inside of your lists as well. Just hit ‘Enter’. Instead of someone else deciding which issues you see — define your own rules and choose what’s important for you. 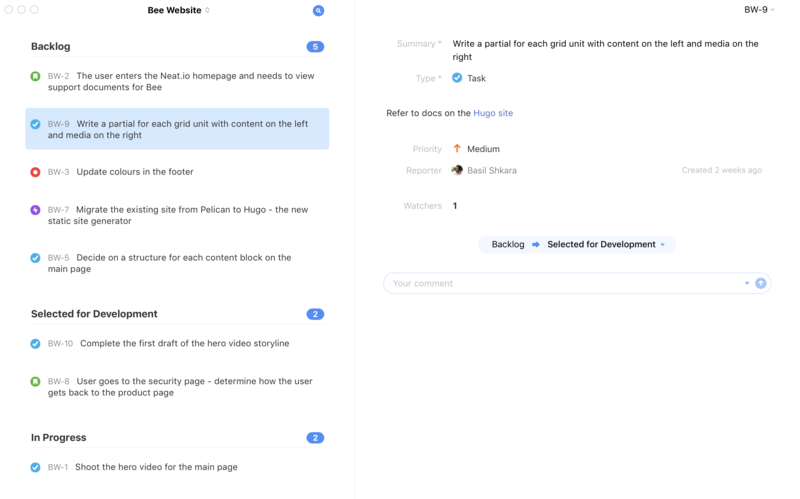 It’s easy to create a Smart Project which only shows issues that are assigned to you, or issues that have a particular tag, or issues in a specific category…you get the idea! It’s super quick to start timing on an issue. The Switcher now also has a dedicated Timing section allowing you to quickly get a bird’s-eye view of where you spent your day. These time logs are all synced back to your server automatically. Perfect if you’re a freelancer, or just want to keep track of your time. 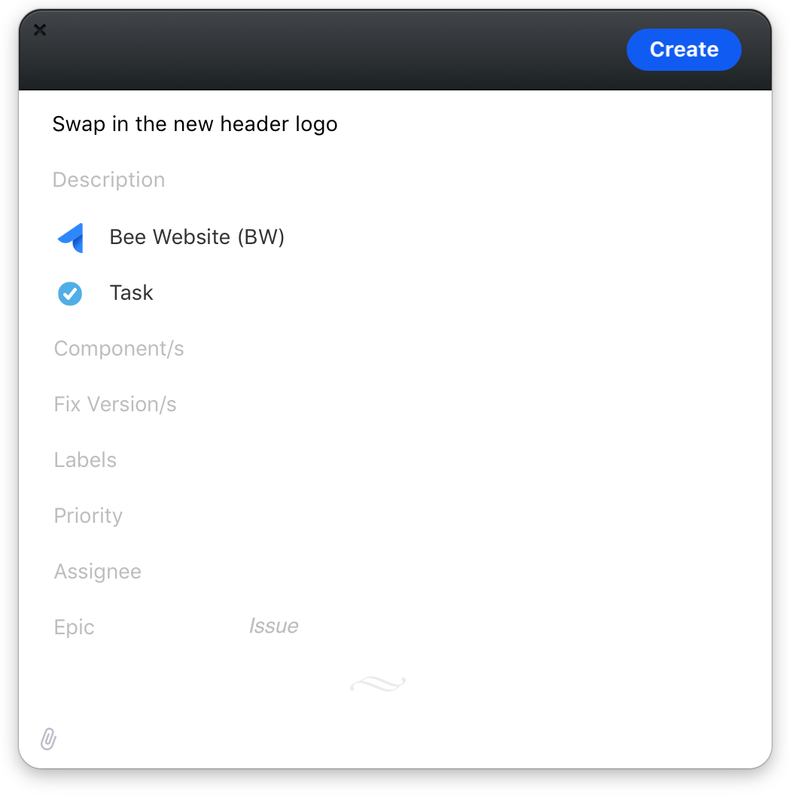 Bee includes a brand-new, written from scratch Markdown editor. It’s great for taking notes down during meetings, task planning, and even as a personal organiser. 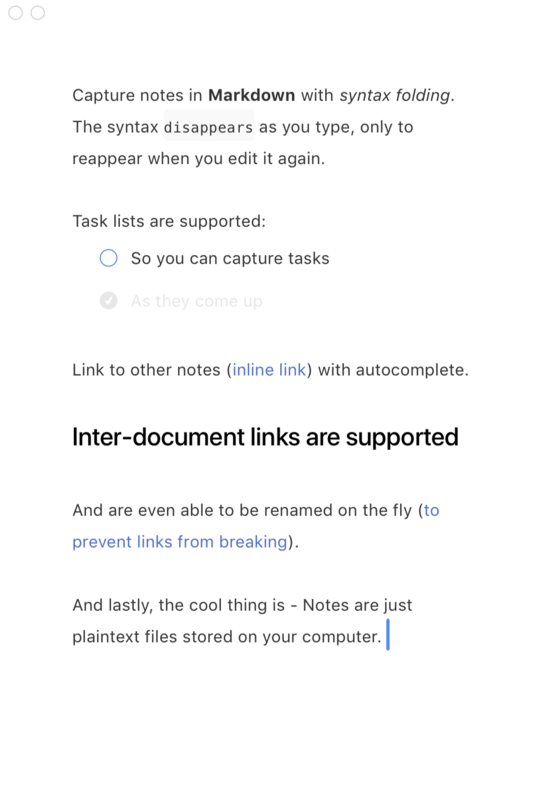 You can link to any issue within Bee and you can also link to other Notes with the help of autocomplete. Best of all - these Notes are all plaintext files and valid Markdown. The magic is all in Bee’s editor. Turn off your email notifications and get to choose which notifications you'll see during the day. More reliable, consistent and efficient. Less connections made to your server. Powerful options to sync your view settings with other lists. Resume and pause timing on the last issue you were working on directly within your menubar. When your Mac is idle, Bee will pause your current task for you. Quick Look, macOS Services, URL schemes, drag and drop — it's all native and and works as you expect. Open as many windows as you like to help you view different lists together. Bee is the only place where you can organise your JIRA, GitHub and Manuscript projects together seamlessly. View your issues inside of a single column window. A UI which remembers where you stopped reading and restores your position. Bee is used and loved worldwide by these great companies and people. Bee currently supports JIRA and JIRA Software, GitHub Issues and Manuscript/FogBugz. It's the most powerful client for your issue tracker. © Neat.io Pty. Ltd. — Berlin, Germany.